Chicago (AFP) - US President Barack Obama and First Lady Michelle Obama have reached a long-awaited decision on where exactly in Chicago to build their presidential library. The location is the city's historic Jackson Park, near the University of Chicago where the president taught law before being elected to public office, a source familiar with the decision making told AFP. A formal announcement will be made in the coming days. The 540-acre park, named after the seventh US president Andrew Jackson, was commissioned in 1869, according to the city's park district. It is nestled on Chicago's famed waterfront, overlooking Lake Michigan and is also the site of the Chicago Museum of Science and Industry. 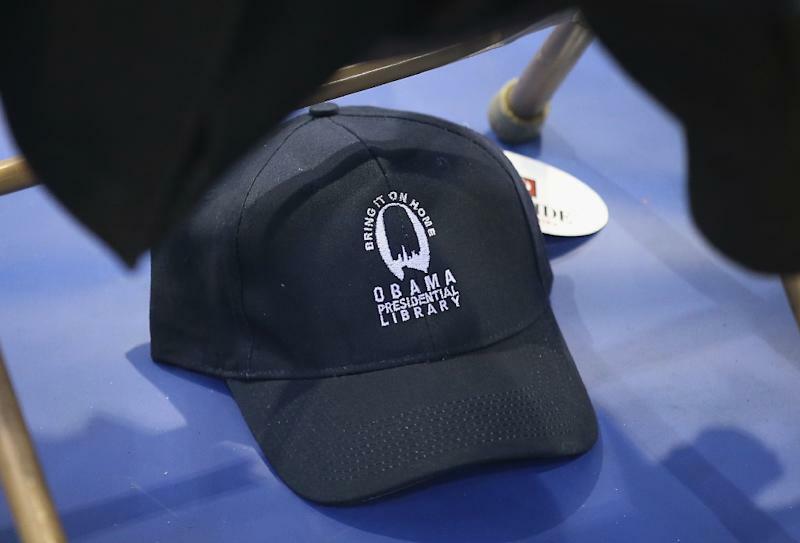 The newest addition to the US network of presidential libraries will serve as a repository for historical items, records and papers pertaining to Obama's two terms as president after he leaves office in January. The Obamas last year picked Chicago as the host city for their library, instead of Honolulu in Hawaii or New York City, which were also bidding. They had since narrowed their choice down to two sites: Jackson Park and Washington Park, which lies not far away to the west of the University of Chicago. Their decision determines which of two economically struggling, predominantly African-American neighborhoods receive a boost in investment and jobs. The Obama Foundation, which is in charge of building the library, has not said how much it will cost, but it is expected to be in the hundreds of millions of dollars. Anthony Clark, author of a book on presidential libraries entitled "The Last Campaign," said the Obamas made the more cautious and conservative choice in picking Jackson Park. "The foundation will build the library where more people, resources, and infrastructure exist already," Clark said, "Rather than try to be the main economic engine for a renewal" of the neighborhood around the other park being considered. The foundation last month announced that the firms Tod Williams Billie Tsien Partners (TWBTA) and Interactive Design Architects (IDEA) were chosen to design the building. At the time, Obama Foundation Chairman Martin Nesbitt said a location would soon be picked with the architects' input and that a building design could take one to two years to complete.